We’re thrilled to participate in so much of this year’s Tech Trends Report from Consumer Goods Technology (CGT). Every year, CGT puts out a “state of the industry” report along with accompanying educational resources, including a webinar on the topic and a Data & Analytics Solutions Guide. The theme for 2018 is simple: relevant responses to radical changes. 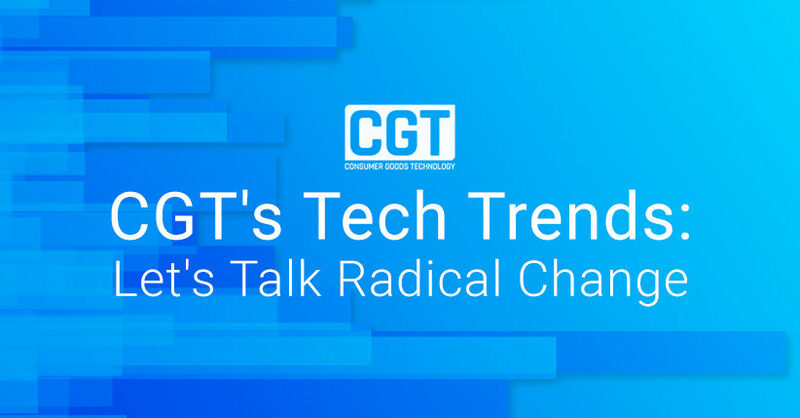 To put together the report, CGT spoke to readers to find out what technologies and tools were helping them keep up with the expanding and evolving needs of customers. That all said, we wanted to take a moment to highlight the excellent resources CGT has put together. First, let’s discuss the report itself. The report, authored by Lisa Terry, takes a careful look at how CPG companies are progressing in their efforts to succeed in the face of marketplace disruption. Throughout the report, Terry offers concise summaries of the many ways companies are tackling this challenging, adaptive marketplace. We highly recommend that you download the report today. As part of their fall calendar of resources, CGT also released their 2018 Data & Analytics Solutions Guide. This guide comes complete with a comprehensive comparison chart of solution providers that are leading the way in the data and analytics space. Alongside the listed company’s name, website, and specific product offering, the chart also details their key consumer goods clients and what features make them unique. For example, you can find out what companies are leveraging AI to create an augmented approach to analytics. Accompanying the guide is an interview with our own Chief Scientist, Mike Finley, and Dan Mitchell, Director, Global Retail & CPG Practice at SAS. This webinar examines key findings from the 2018 Tech Trends report, with specific attention to how artificial intelligence is impacting CPGs seeking omnichannel success. Moderated by Peter Breen, Editor in Chief of Consumer Goods Technology, the webinar features Dan Jenski, Associate Director of Commercial Analytics for Mondelez International, Srivatsan Rajagopalan, VP and Lead of New Business Models for Johnson & Johnson, and Pete Reilly, SVP of Sales and Marketing for AnswerRocket. Check out the webinar to learn actionable insights from these three experts in the space. As you can see, we’ve had a busy few months of collaboration with the team at CGT, and we’re proud to share these helpful resources with you all. Happy reading and listening!